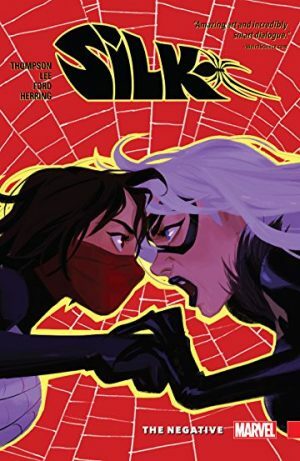 This team-up between two of the top Spideys does not disappoint! 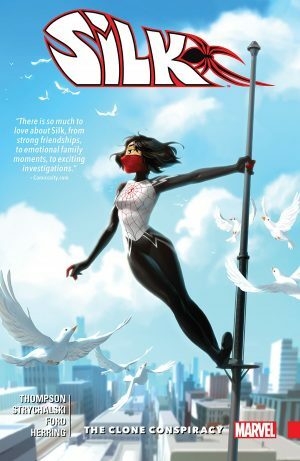 Sitting in a Tree begins with Miles Morales’ search for his father, who has ended up in Spider-Gwen’s universe. The two work well together, learning from each other, and are able to confide in one another. They have a clear chemistry, but, more importantly, they share a mutual respect and regard for each other. 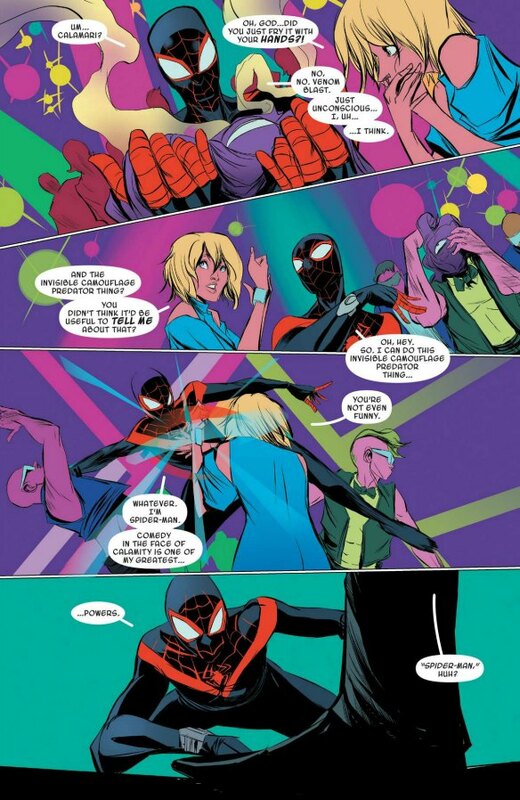 Miles compliments Gwen’s fighting techniques, recognizes the creative ways she uses her powers and reveals to his friends that he has a lot to learn from this Spider-Woman. The pair hop from universe to universe trying to stop an interdimensional crime spree and save Miles’ father. When thy’re separated Gwen lands in Earth-8, a universe at least thirty years in the future where she and Miles have been married twenty years. The Spider-Family is introduced, complete with Spider-Girl, Spider-Boy, Spider-Ham and others who help the pair save the day. 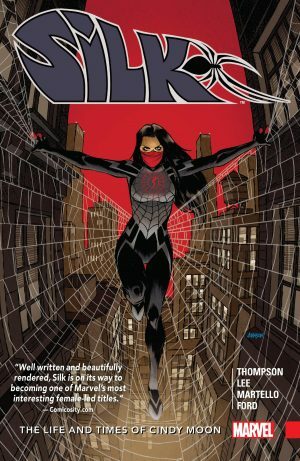 The superhero team is only made possible by the superstar team-up of writers Brian Michael Bendis and Jason Latour, and artists Sara Pichelli and Robbi Rodriguez. They weave excellent storytelling with seamless action and amazing art. The colours beautifully illustrate the different worlds. In the beginning, the distinctively realistic and dark style of Spider-Man slowly gives way to the vibrant purples and pinks of Gwen’s universe as Miles travels there. Each issue has amazing panel variations that add to the drama and style. The only disappointing aspect is that the entire team-up centres around a kiss. While a platonic super-friendship would be more realistic, the end of the volume nicely plays with the “sitting in a tree” expectation. 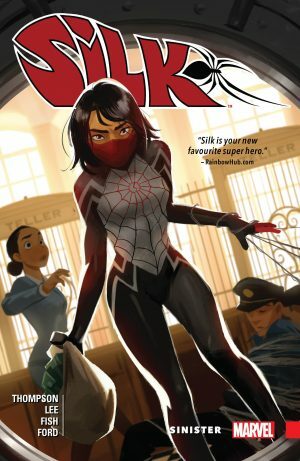 The Miles/Gwen dream team is amazing because the creative team is able to handle the plot, have a female-respecting male lead, great action, and art/colouring at the top of Marvel’s game.